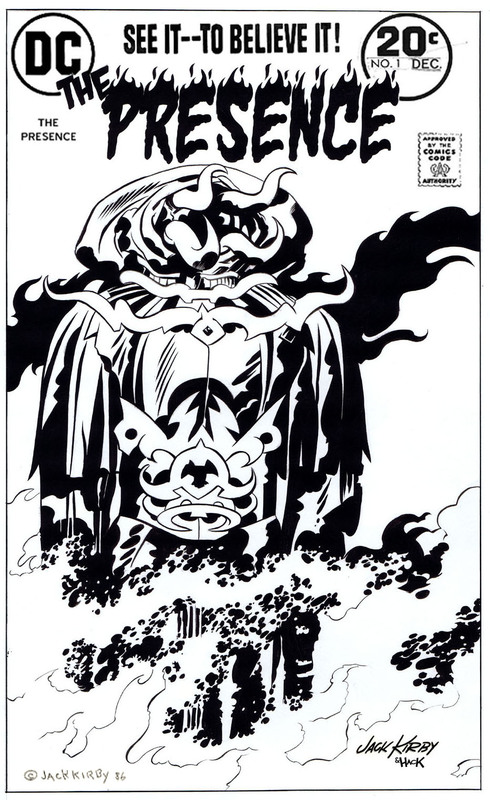 Have you previously seen Jack Kirby's The Presence? Artist Robert Hack inked the vintage character design pencils and you see the stunning results above. There's plenty more where that came from if you're curious enough to investigate the Kirby thread on the deviantART website!